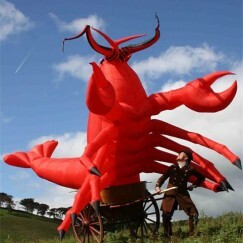 The Conquest of the Crustaceans – Giant lobsters take over! 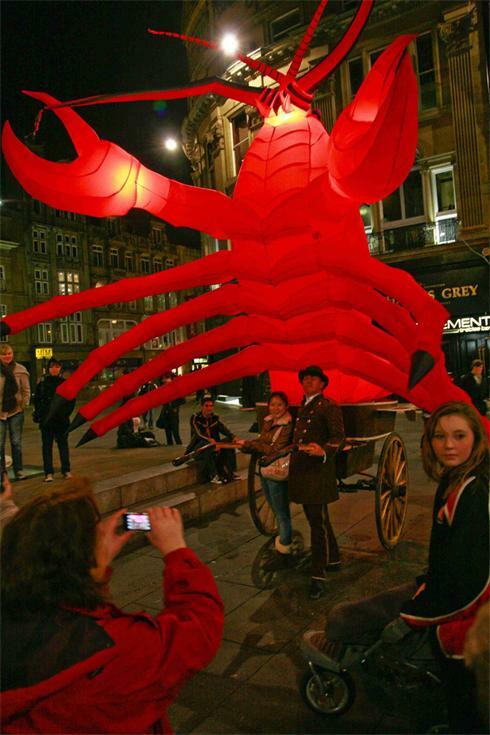 A truly arresting sight as it rumbles towards you – filling your field of vision and ticking with its tentacles. 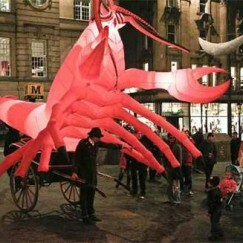 Lobster à la Cart has been a huge hit with audiences up and down the country. 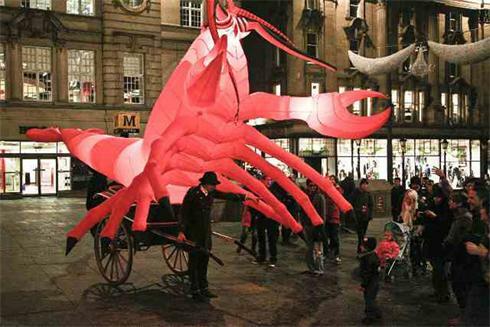 A huge surreal walkabout for parades, carnivals and outdoor spaces: riding in a cart pulled by a charismatic character, the inflatable illuminated lobsters are a sight to behold. 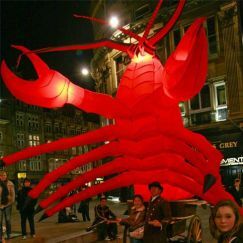 Perfect for seaside and food themed events, great on parades and illuminated at night it creates a huge impact for a relatively small price. 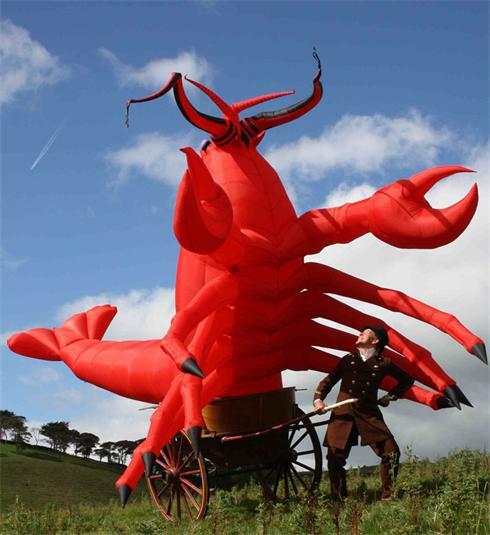 For those large scale events – we have two of them and they Waltz together – Strictly Come Dancing eat your heart out – this is the Dance of the Giant Lobsters. 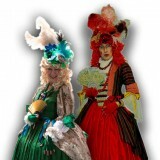 This new performance is truly spectacular and made with the greatest attention to detail from the superb sculptural inflatables to the costumes and authentic antique carts they drive.